The secrets of six strangers forced together out of circumstance have been lain bare. The mysterious Mockingbird who tortured them for a year has been revealed as The Riddler. And "Big Shot" has been revealed as Ralph Dibny - a detective with a talent for stretching more than the truth. Only two important riddles remain to be answered. 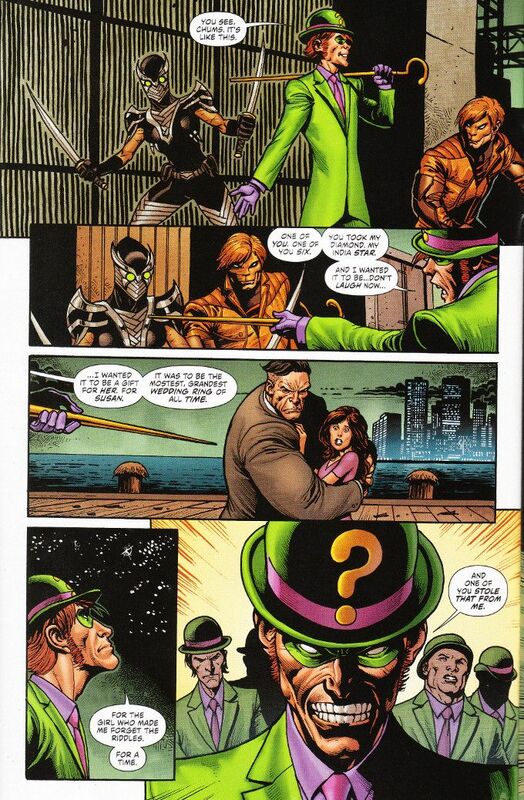 Where is the diamond that one of The Six stole from The Riddler? 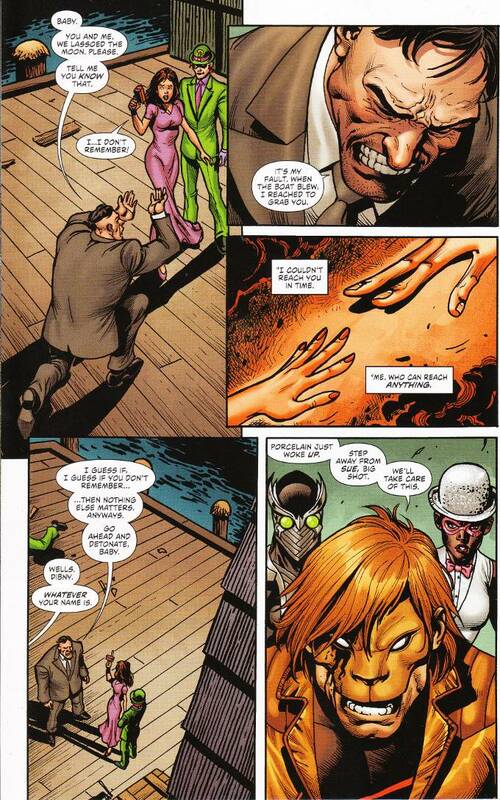 And can Big Shot's wife Sue, now a brainwashed pawn of The Riddler, be saved? Gail Simone is to be commended for maintaining the mystery of this book for as long and as well as she did. I've been reluctant to reveal any of the secrets in my past reviews, which has made discussing them a bit of a challenge. Thankfully I think I can safely reveal a few things at this point and finally take the time to say this. Thank you for bringing Ralph and Sue back, Gail. I've missed them. And I can't wait to see how their story plays out from here. And with that bad pun, I encourage you to pick up Secret Six if you aren't already doing so.